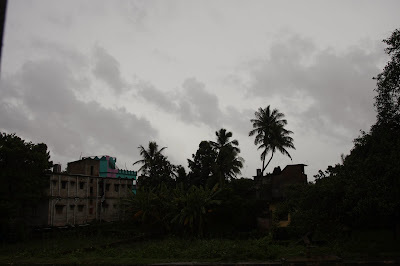 The Indian Army today mobilised an Engineering column comprising medical and signal entities from Bhubaneswar to Gopalpur in Ganjam District, forecast to be the landfall area where the cyclone is expected to strike landmass in Odisha later tonight. Additional Engineering columns and Signal columns are also expected to arrive in Bhubaneswar and adjoining coastal areas from various units of Army's Eastern and Central Commands. The overall rescue and relief operations are being coordinated by GOC Madhya Bharat, Lt Gen Ramesh Rana who held various high level meetings with Odisha Chief Minister, Chief Secretary and Relief Commissioner, among others, earlier in the day. Gen Rana said the army will synergise efforts of NDRF, ODRAF, Army and work in cooperation with them. While some columns are already moving, other columns from the Eastern and Central Commands are on standby. 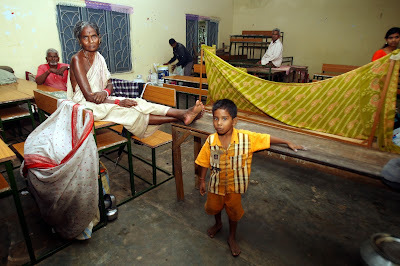 The task for the army includes evacuating people from affected areas in the aftermath of the cyclone including shifting them from their kutcha dwellings, open physical lines of communication including roads, telephone lines, electricity and water supply. 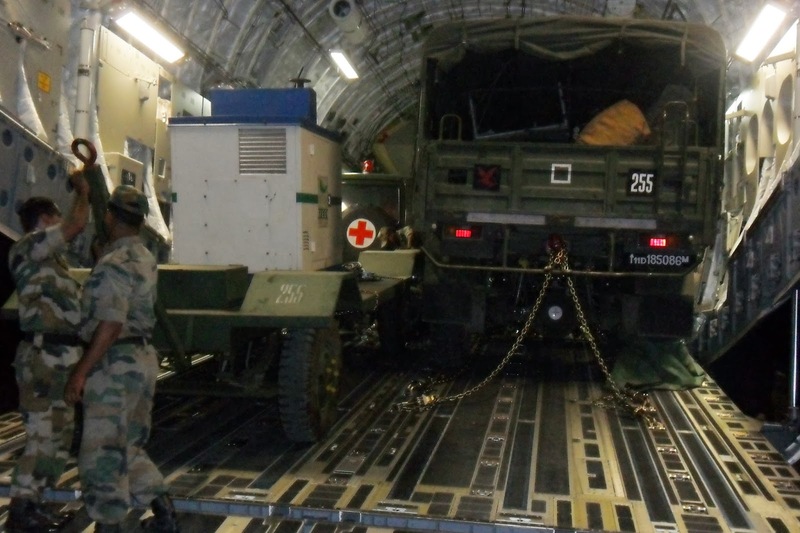 The army will also be meeting some of the medical requirements and supply of relief materials. It will also work in support of the state forces to ensure minimum loss of lives and property. The IAF's latest strategic transport aircraft, the C-17 Globe Master undertook its first sortie towards transporting of relief materials including specialist army vehicles and ambulance from bases in central India to Bhubaneswar, ahead of the arrival of cyclone Phailin, due to strike land later this evening. The C-17 airlifted 60 troops and rescue and medical material including heavy vehicles and ambulance from Allahabad before landing at Bubaneswar at around 8.15 am today. 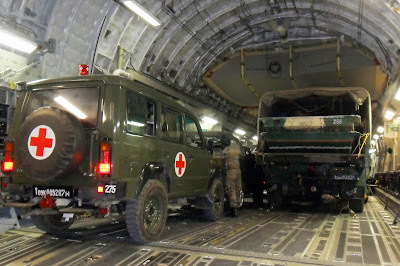 Additionally, the IAF has already started transporting NDRF personnel and other heavy relief equipment by by IL-76s and AN-32 from various bases across the country. 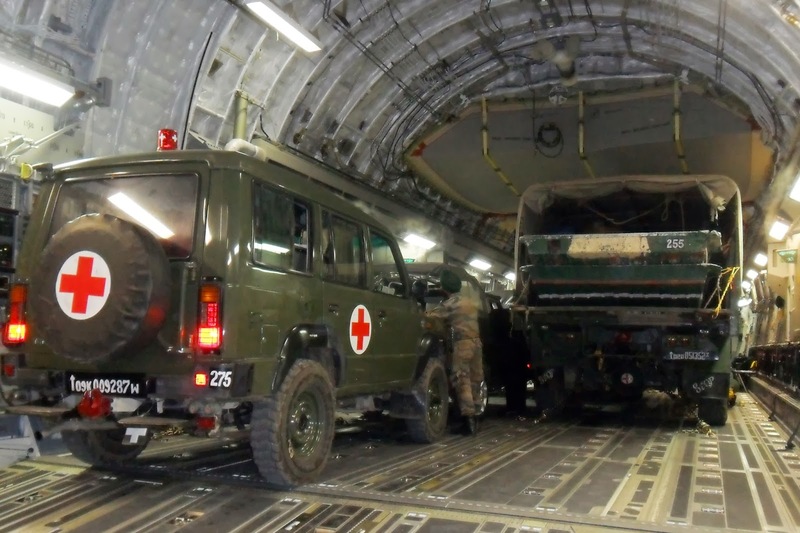 The IAF has also kept in readiness two C-130J Super Hercules towards rescue and relief efforts. Mi-17 V5 helicopters are also standing by in Barrackpore, near Kolkata ready to fly into Odisha for rescue and relief activities, as and when required.